Cleanse pores and relax muscles: 100% Pure, Natural and Vegan Soulflower Peppermint Essential Oil cleanses clogged pores and brightens dull skin, controls acne, exfoliates and relaxes tired muscles. This oil also cleanses your scalp and strengthens hair roots. Directions for use: Essential oils should be mixed with carrier oils and then applied on the skin or hair. Do not apply it directly on the skin or hair as it is very concentrated. 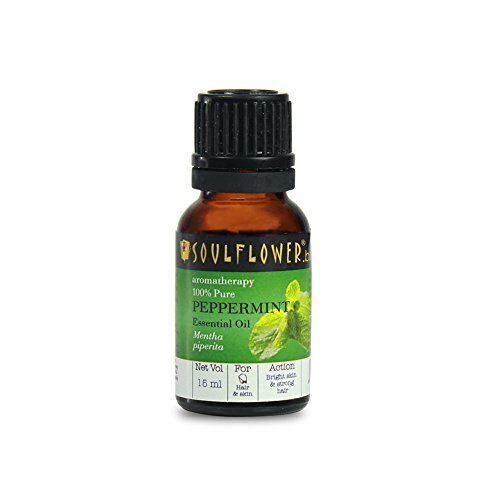 Mix the soulflower peppermint essential oil along with any soulflower carrier oil and apply it for a soothing and relaxing experience. Brighten your skin: this essential oil also helps to brighten your dull skin and exfoliates dead cells; giving you a smooth and glowing skin. It also helps to control excessive oil build-up on the skin. Strengthen hair roots and relax muscles: strengthen your hair roots with this essential oil as it nourishes your scalp deeply and gives stronger hair and controls excessive sebum build-up. 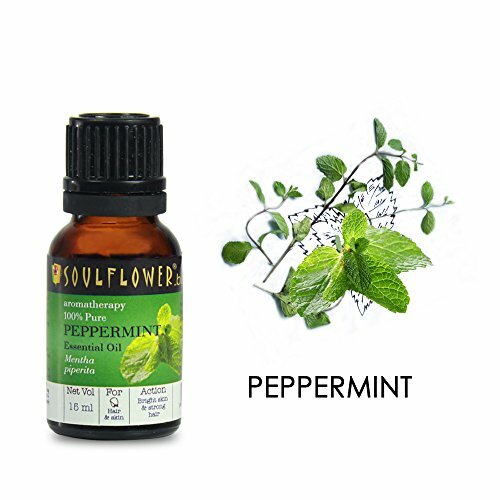 It also helps to relax your tired muscles and refreshes mind with its strong minty aroma.